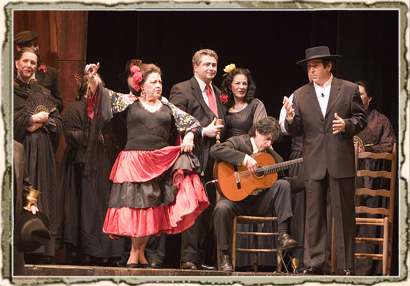 Vida Breve: Aris Quiroga Nieto, the Flamenco singer Tomas de San Julian and the Opera Carolina group. Belk Theatre, Charlotte North Carolina. Aris offers his clients 20 years experience performing for corporate events, private events, weddings, and many more. Aris's classical and contemporary music style will provide the perfect atmosphere for your guests. The music will only compliment the occasion, instead of dominating it. 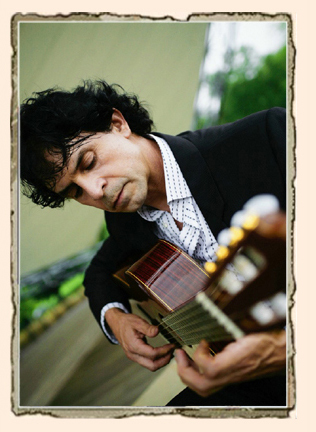 In addition to maintaining an active career as a free lance solo guitarist, Aris collaborates with several artists comprising top-notch musicians, available for concerts, music festivals, company functions, special events, etc. The Mint Museum, The Betchler Museum of Modern Art, The Levine Museum, The Harvey B Gantt Center, Charlotte Convention Center, Mint Museum of Craft and Design, Center of the Earth Gallery, Light Factory, Performance with Opera Carolina at the Belk Theater, Private event for Bobcats, Quail Hollow Country Club, Carmel Country Club, Meyers Park Country Club, River Run Country Club, Ballantyne Resort, Marriott Hotel, Hilton Hotel, Omni Hotel, The Latin American Coalition, Bank of America, and Wells Fargo Bank.